The backstreets of Itaewon are going through some rather major redevelopments at the moment and where there used to be tiny alleys and houses, we now have boutique clothes shops, restaurants and a brand spanking new length of tarmac for drivers to speed down. 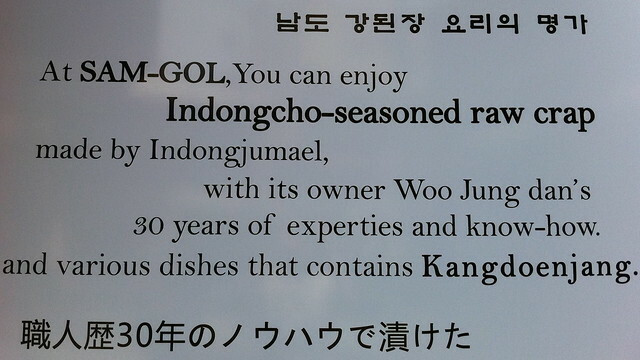 There are new shops and cafes popping up on a weekly basis, including a new Brazillian place and a branch of HBC's Gogi Jip, but my story involves a Korean restaurant that has opened up just down the road from me. 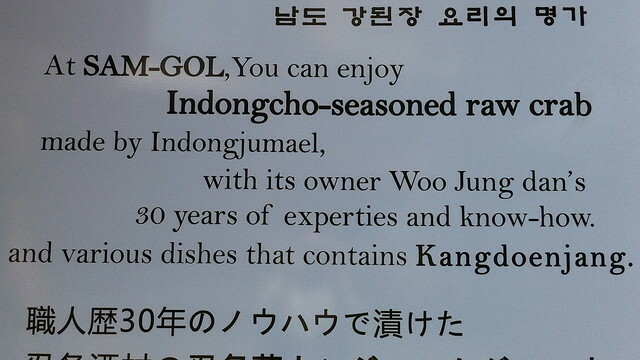 Mmmh, the "Indongcho-seasoned raw crap" sounds... well not as appetizing as it should have, if spelt correctly. 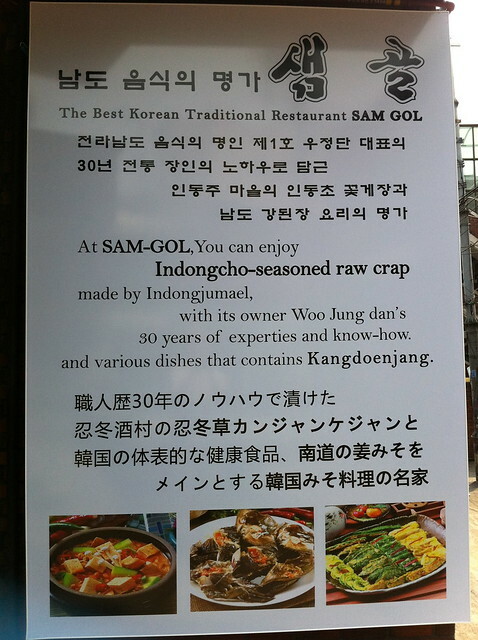 I had a quick chat with the owner, found out he didn't speak any English and so explained in a very gentle manner that his new sign for his new restaurant was offering sewer fodder instead of the usual sea food. 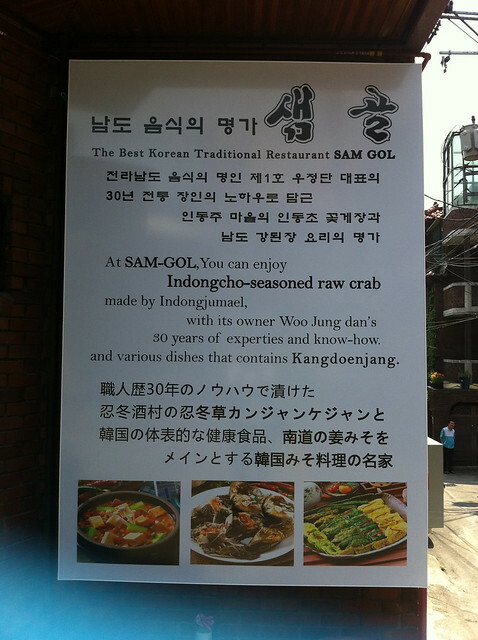 Very sweet of you to correct the owner. I'm not sure I would have bothered. nice pun there at the end. Some places respond, but not all do, when I bring in a spelling correction. I usually try at least once, though. My most recent: a hand drip coffee from Costa Lica. That was very cool of you to take the trouble to do that.